All single gates include a locking bar and will lock on the left side unless requested otherwise. Gates locking on the right are made to order and require a 1-2 week production time. Single Folding Gate 5.5'w x 5.5'h.. Single Folding Gate 5.5'w x 6'h.. Single Folding Gate 5.5'w x 6.5'h.. Single Folding Gate 5.5'w x 7'h.. Single Folding Gate 5.5'w x 7.5'h.. 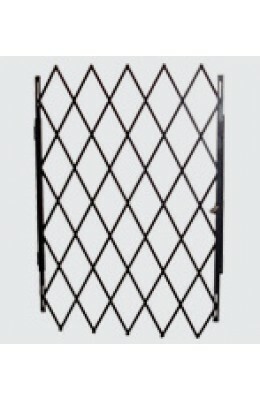 Single Folding Gate 5.5'w x 8'h.. Single Folding Gate 6.5'w x 5.5'h.. Single Folding Gate 6.5'w x 6'h.. Single Folding Gate 6.5'w x 6.5'h.. Single Folding Gate 6.5'w x 7'h.. Single Folding Gate 6.5'w x 7.5'h.. Single Folding Gate 6.5'w x 8'h.. Single Folding Gate 7.5'w x 5.5'h.. Single Folding Gate 7.5'w x 6'h.. Single Folding Gate 7.5'w x 6.5'h..